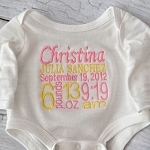 Here is a simple, modern personalized onesie to show off the newest addition to a family or your Little One! 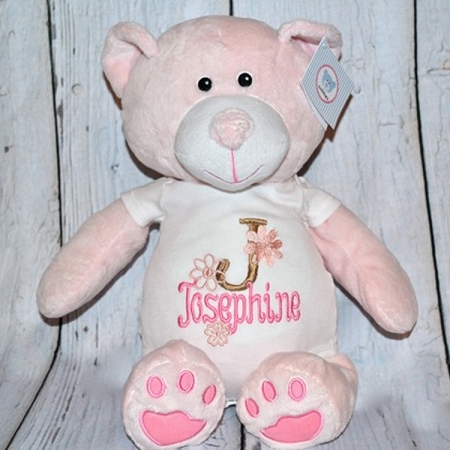 Fantastic for hospital gifts, newborn photos, family portraits, baby shower, birthday gift...or just because. 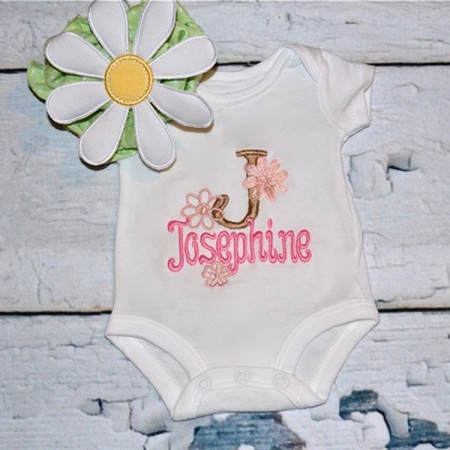 Each piece is embroidered (made to order) using 100% cotton, white, short-sleeved or long sleeved onesies, your options makes this gift a one-of-a-kind treasured keepsake. 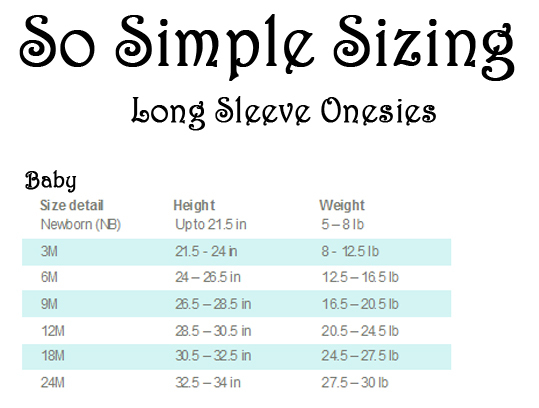 For sizes available please review the size chart above. 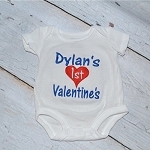 These oneises are made to order and cannot be refunded once processed. Please allow 2 weeks for delivery. 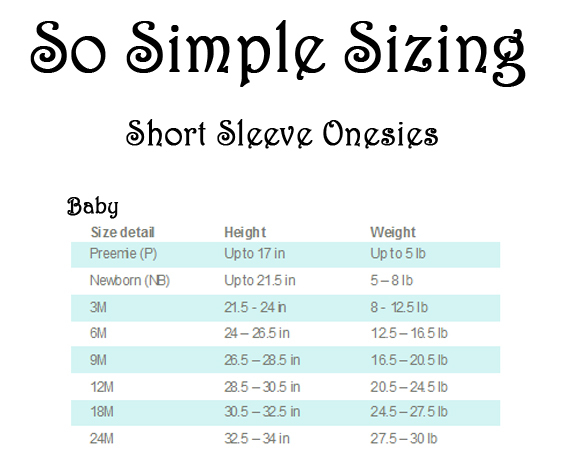 Also please be advised that if ordering a Cubbie the only onesie that will fit the Cubbie appropriately (as a keepsake) is a preemie onesie. Should you order a larger size it will not fit the Cubbie correctly. 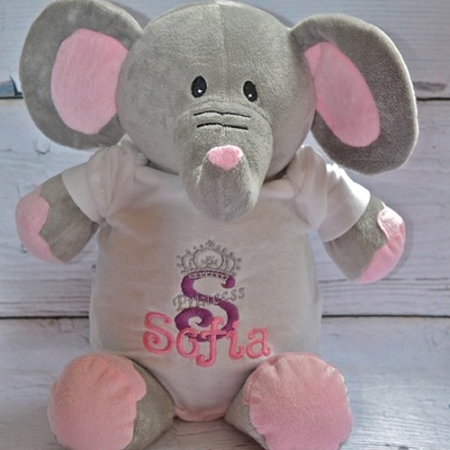 I ordered two of these but decided that I wanted to change up the details of the design. We worked together to come up with the perfect look on the front and back of the shirts. 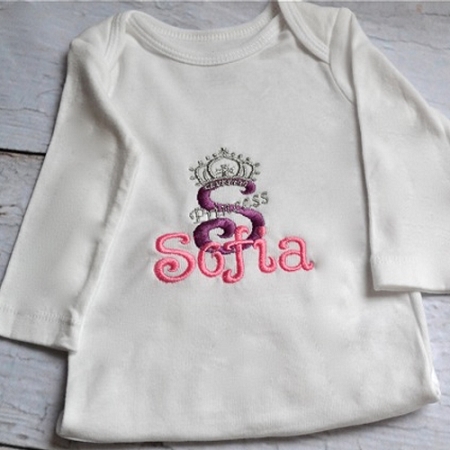 I got beautiful completely customized shirts to give as a gift.